May 15, 2018 will be remembered for some time to come. 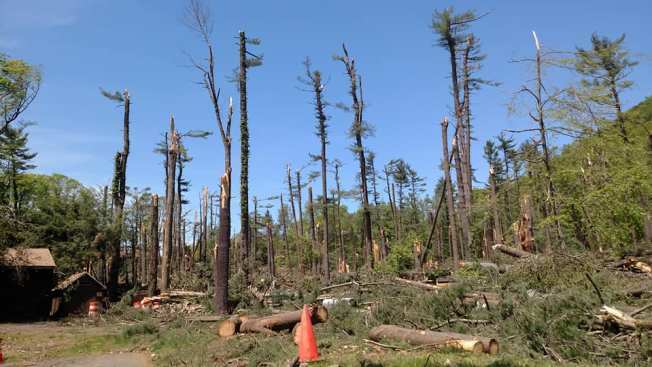 The four tornadoes and widespread swath of damaging straight-line winds produced one of the most memorable severe weather events in Connecticut in decades. According to Eversource the damage to their power grid was worse than the damage during Hurricane Sandy with 425 miles of lines needing to be replaced. Power outages lasted for over a week in some of the hardest hit towns. To the best of my knowledge this was the largest utility outages from thunderstorms on record. One thing that has been interesting about this month was just how warm it was. I would guess if you asked most people in Connecticut if they thought the month was a chilly one the vast majority would say it was! In reality as of May 30 this May tied for the 4th warmest on record!! 5 day 500mb height anomaly which shows an anomalous trough of low pressure early next week. This would likely correspond to cooler and wet weather. Don't get used to it, however. At least in the short to medium term there is some ugly weather that appears to be lurking nearby. 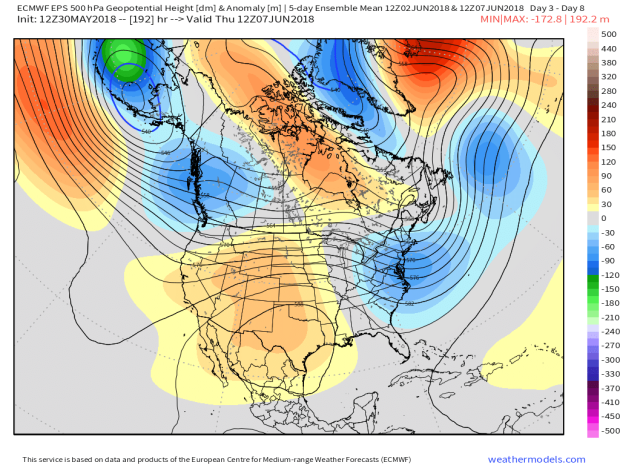 Both the GFS and European models show a deep and persistent trough of low pressure to the south of us over the weekend and into the middle of next week. 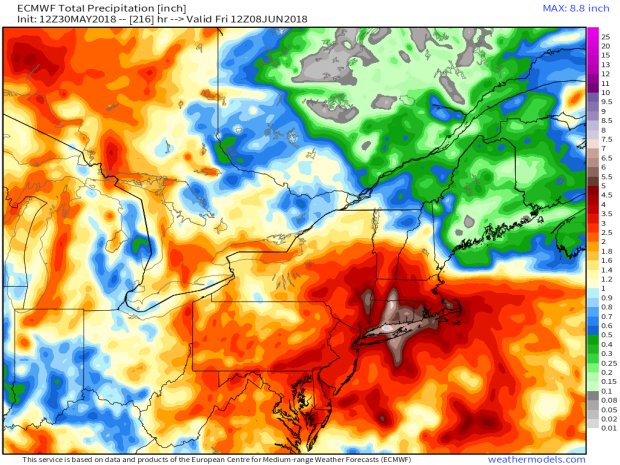 8 day European model precipitation showing nearly 8" of rain in parts of Connecticut! While this is unlikely to verify it does illustrate just how wet this pattern has the potential to be. While the details of just how cold and just how wet remain to be worked out it's fair to say the upcoming pattern is anything but pretty. June is going to start on a very unsettled note.